TICKET UPDATE: Less than 80 tickets remain. Tickets purchased day of event be will online purchases only. Simply show the ticket scanners the QR-code/scan box on your ticket PDF to gain entry. There will be no cash or credit sales on-site at the Museum. Online sales only, while tickets remain. 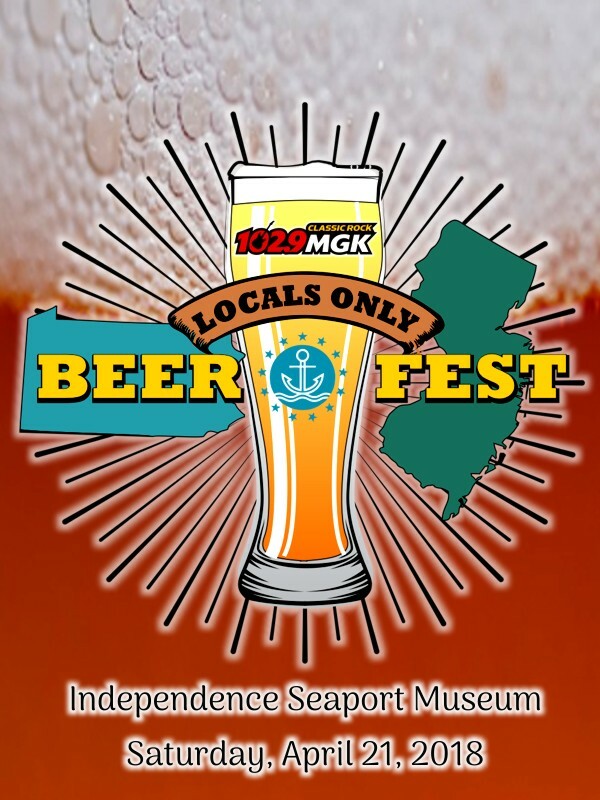 Introducing MGK's 2nd Annual Locals Only Beer Fest. There will also be great food available for purchase - food vendors to be added in the coming days. You can't tour the musuem once you've consumed alcohol but you can use your free museum ticket/voucher up until 12/31/18. It’s not an MGK event without great music, so the MGK DJs will be providing the tunes. John DeBella, Debbi Calton, Andre Gardner and Ray Koob will each play an hour long set from their personal collection. Broken Goblet, Conshocken Brewing, Crooked Eye, Dogfish Head, Double Nickel, Doylestown, Evil Genius, Flying Fish, Great Barn, Levante Brewing, Locust Lane, Naked Brewing, Neshaminy Creek, Philadelphia Brewing Company, River Horse, Saint Benjamin, Ship Bottom, Stable 12, Sterling Pig, Troegs, Twin Lakes, Victory, Weyerbacher, Yards, Yuengling. PHOTOS - MGK knows how to throw a beer fest, see pics from our previous beer events. Parking is available in the Hilton Penn's Landing Parking Garage, located next to Independence Seaport Museum on Columbus Blvd. This lot is operated by CitiPark. Parking is also available at the Penn's Landing Walnut Street Parking Lot. Parking rates may be more expensive at this lot. This lot is owned and operated by the Delaware River Waterfront Corporation and prices may vary by season. If you park at the Hilton parking garage next to the Museum, you may receive $12 parking if you obtain a discounted parking ticket on your way out of the beer fest. We have 100 discounted parking tickets available. Once the discounted chips have been used, we won't have any additional available. The parking garage structure houses the Hilton parking lot, the outdoor parking across from the Hilton is not affiliated with the Hilton and does not offer discounted parking.